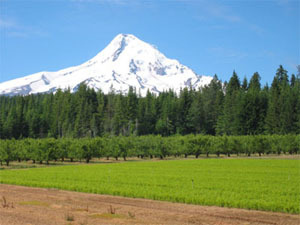 The Forest Seedling Network works to enhance the ability to serve Northwest Landowners and seedling wholesale producers. FSN is an interactive website service that assists forest landowners in locating seedlings, forestry contractors, other services and forest management information. The site currently serves OR, WA, ID, MT and CA. Nearly 200 commercial forest species and native woody plants are available to growers and landowners to create Posts for selling and searching for seedlings. If a grower has seedlings to sell they post the seedling lot information in the Sell Seedlings module. Landowners then use the Search Seedling module to locate seedlings that are appropriate for their planting area. If interested, the landowner or searcher contacts the seller for additional details. They make the deal. FSN only facilitates the connection and is not a broker. A similar approach is used to find contractors and businesses in the Service Directory. Over 1,500 complementary and subscribing vendors are listed. The Service Directory's comprehensive Vendor Search module allows users to locate specific services available in their area. A business can upgrade to a paid subscription level to increase their marketing exposure. Searching for seedlings and vendors is free. Seedling lot postings and vendor subscriptions require nominal fees. FSN also has a wide range of information useful to forest landowners and others. In addition to forestry events, management tips and notes the Resource section has an extensive display of seed zone maps by state and links to additional information. FSN is actively expanding services into California to better serve the state's forest landowners. Seedling availability is tricky again this planting season. After low demand for spec seedlings during 2006 – 09, many growers reduced their spec sowing. 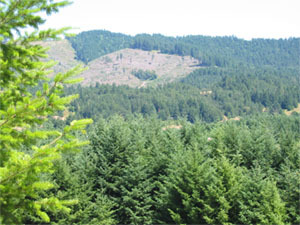 The improved log sale prices in 2010 increased logged acreage and quickly absorbed the limited supply of spec seedlings available. The continued favorable log market in 2011 will repeat this scenario for the coming planting season. Some growers moderately increased their 2011 spec sowing numbers. This helps one-year-old stock, but two-year stock is still scarce. If you do not have your seedlings for the coming planting season, watch FSN for grower and landowner surplus posts. Growers are beginning to Post seedling lots for sale at the end of the current planting season. This provides them early exposure to landowners harvesting in the spring and early summer. Subscribing vendors' posts are also listed on their own business page. Seedling lots for sale by growers and landowners can also be posted for future planting seasons. Planting seasons are color coded for your convince. Check the Service Directory for quick access to these and other subscription vendors. Searchers can use Map Search to identify planting sites where you seedling needs are unavailable on our seedling Post list. FSN is committed to full service for the Northwest Forest Landowner Community. Your requests, suggestions, and feedback are appreciated. Thanks for considering FSn to assit you in forest management planning.